Mohammad Sedigh Kaboudvand, journalist and founder of Kurdistan Human Rights Organization has started his unlimited hunger strike on the 27th of May 2012 in protest to the illegal and inhuman behaviour of the regime, judiciary and security officials. His main demand is to receive permission to visit his ailing son in the hospital. Mr. Kaboudvand’s son became ill due to an unknown disease and has been hospitalized ever since January of 2011. During the time period of January 2011 until May 2012, he was allowed to visit his ailing son several times, but only for short periods of time. That right was revoked and in protest Mohammad Sedigh Kaboudvand started his “dry” hunger strike on 14th of July 2012 but has recently come to accept his friends request to at least drink water; his health is now rapidly deteriorating. 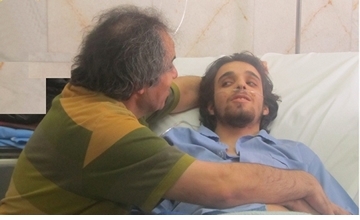 Mohammad Sedigh kaboudvand suffers from several diseases. He is one of those who have become ill to many kinds of diseases in the Islamic Republic prisons. The prison officials disregard doctors’ recommendations for his treatment and his leave for medical treatment. And now the side effect of long hunger strike has been added to his physical problems. Despite of his son’s incurable disease, the officials deny him of having a treatment leave and are pitilessly trying to gradually end his life. Mohammad Sedigh Kaboudvand , is the former editor in chief of weekly journal of “Payame Mardome Kurdistan” (Kurdistan People’s Message) and founder of Kurdistan Human Rights Organization. Other than defending human rights, he has not committed any crimes. The governments allegations against him is only limited to his journalistic and human rights activities, and with these unfounded allegations he was sentenced to ten an a half years imprisonment and have been in prison ever since 1st of July 2007. 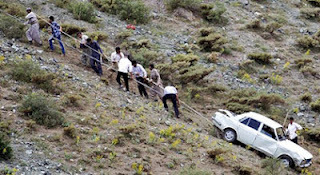 All the evidences indicate that his life is in serious danger. Without consideration to his physical condition, the Islamic Republic continues it’s revengeful and inhuman behaviour against him. Like all the other political and prisoner of conscience in the Islamic Republic Mohammad Sedigh Kaboudvand has committed no crimes which would deserve imprisonment. As a journalist and human rights defender, he has defended the rights and freedom of the people and is solely demanding consideration of the humans’ rights and respect to the people’s basic rights and freedom of people. Like other activists of workers, women, students and ethnic minorities movements, human rights defenders, political prisoners, lawyers, journalists and bloggers he has no other demands than living in a free society without oppression, imprisonment and suppression. We the republican political parties and organizations as defenders of freedom and equality, separation of religion from state, democracy, human rights and elimination of any kind of race-, gender-, or beliefs discrimination, together with human rights groups and organizations and together with civil society movements activists demand for the immediate and unconditional release of Mr. Mohammad Sedigh Kaboudvand and all political and prisoners of conscience. Have you seen this in any other countries? But in the Islamic Republic regime in Iran it happens and yet Mahmoud Ahmadinejad is speaking of managing the whole world ! When cranes and lift trucks are used to hang people ,this happens in the Islamic Regime in Iran ! 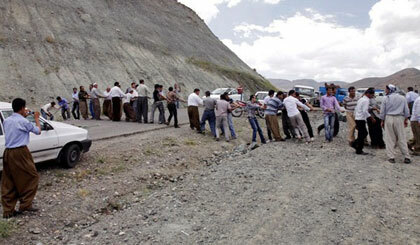 In this pictures people take action together to bring a crashed car up to the road. Surely it took time for people to do this , but where is the government? Is there Ministry of transportation ? Yet this Government is bluffing that it can manage the whole world. Naimeh Eshraghi the grand daughter of Ayatollah Khomeini : "Forcing the "Hejab " will not succeed and personally i'm not interested to "Chador" the veil ! "We,ourselves made the "Hejab" hard , for example; using "Chador" (veil ) for people who have social activity is a hard ,because,in reality they can only use one of their hand and the other hand should hold the "Chador ". I have positive view on "Hejab " but don't like "Chador" ." 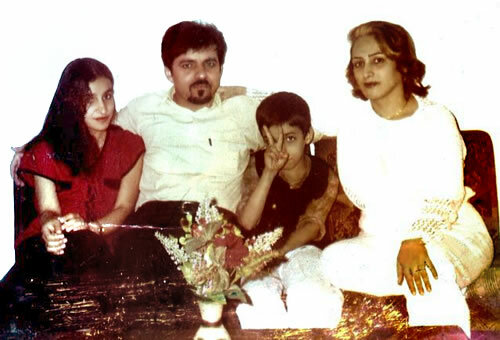 Naimeh is the daughter of Sedigheh Mostafavi the eldest daughter of Khomeini and is a petrochemical engineer graduated from Amir kabir university according to the Jamaran Website . She added : " We shouldn't have forced the "Hejab"." In recent months the police forces of the Islamic Republic put stricter measure with regard to Hejab and as a result many Iranian women resist the arrest and many end up in jail. 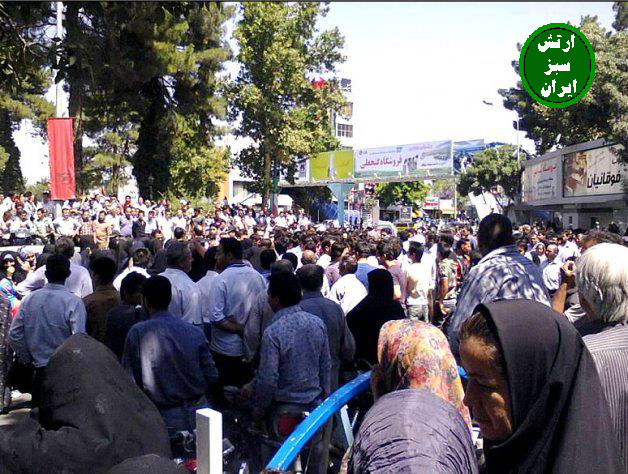 Today ,Monday -City of Neyshabour, Iran - People started new round of protest,this time against the basic food prices! Monday July 23,Protest against the basic food costs in Iran started from the city of "Neyshabour" - The old city close to Mashhad ( Where Omar Khayam ,the Iranian poet is buried ) - In recent months prices of basic food coast went so high that hard working Iranian people are unable to buy - This protest is about chicken prices ! Bahai's are under daily threat in the Islamic Republic ! According to HRANA (News Agency ) on Tuesday in Tehran the security agents have arrested nine Iranian Bahai's.At around 8:00 pm on Tuesday July 10 ,the security agents attended at Amir Mazidi's home and then the next day they have attended at the office and home of several other Bahai's in Tehran ,in some cases the agents without order from the court (broke and entered) in the premises , attacked and insulted the residents and took away with them the Laptop -computer - camera-marriage certificates- property and financial documents- Bank cheques and family albums . According to this report ,the agents have arrested the nine Bahai's and transferred to an unknown location. Adel Naimi and his wife Elaheh Farahani, Sarang Etehadi and his wife Nasim Ashrafi, Shahab Dehghani and his wife Shamis Mohajer, Amir Maghami -fard, Amir Mazidi, Jinous Rahimi. Ahmad Salek a cleric MP : More than 100 well known reformist personalities went on trial during the protest after 2009 election ! Mohammad Javad Larijani is Mr. Human Rights of the Islamic Republic in Iran ! Ahmad Salek a cleric MP has answered Mohammad Javad Larijani the head of human rights headquarter at Islamic Republic judiciary power who have said earlier that :" Political prisoners ! where is it?" Basically Mr. Human Rights of the Islamic Republic said: There is NO political prisoner in the Islamic Republic. On Wednesday Ahmad Salek in speaking with Aria News Agency said: "After the event of sedition (IWC:or as it is known, the " Fetneh "event ), many of the reformists were exposed and more than 100 of them were brought on trial." 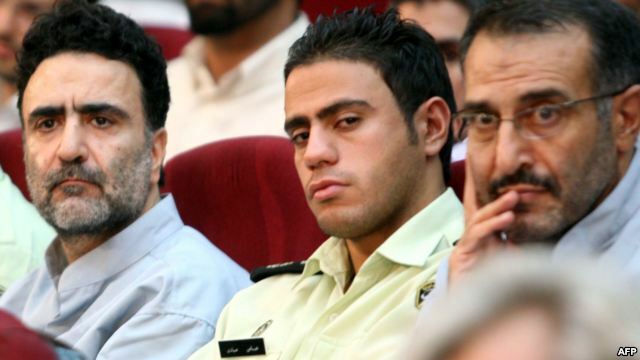 Picture (1) shows two prominent reformists in the court with an officer in between- Picture (2) Ahmad Salek The cleric MP. Ahmad Salek is currently the political deputy of "Sepah Pasdaran". In the past he was commander of Sepah force in the city of Isfahan and representative of Khamenei in "Ghods force" - outside of Iran and many other high ranking position. 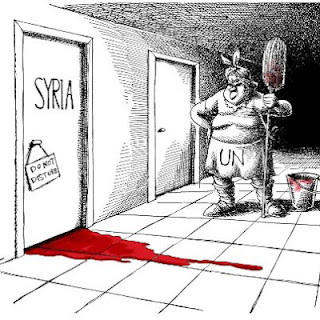 Cartoon by Iranian cartoonist Mana Neyestani. 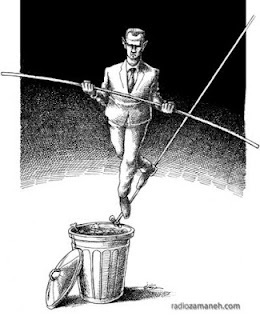 Political cartoon by Iranian cartoonist Mana Neyestani . IRAN WATCH CANADA: Where all dictators go ! For Immediate ReleaseIran: End Abuse of Imprisoned JournalistsQuash Politically Motivated Convictions and Release Them(New York, July 13, 2012) – Iranian authorities should immediately put an end to the mistreatment of two prominent imprisoned journalists and provide them with necessary medical care, Human Rights Watch said today. Human Rights Watch again called on authorities to quash the men’s convictions, which violate their freedom of expression, and release them unconditionally. Mohammad Sadigh Kaboudvand, a leading advocate of Kurdish rights in Iran, is serving a 10-and-a-half-year sentence on politically motivated charges. He began a hunger strike in Tehran’s Evin prison on May 26, 2012, to protest prison authorities’ denial of his repeated requests to visit his adult son, Pejman, who is seriously ill with a blood condition. Bahman Ahmadi-Amoui, a journalist affiliated with numerous reformist publications, had been serving a five-year prison sentence in the same ward but was transferred to a prison in the city of Karaj on June 12, apparently as punishment for marking the anniversary of the death of another hunger-striking prisoner. Kaboudvand himself suffers from ill health, including a serious heart condition. His wife told Human Rights Watch that his condition has deteriorated drastically as a result of the hunger strike. Ahmadi-Amoui’s family has been informed that prison officials are holding him in incommunicado solitary confinement as punishment. His family has not seen him since his transfer and is worried about his psychological and physical health. Kaboudvand was a 2009 recipient and Ahmadi-Amoui was a 2011 recipient of Human Rights Watch’s Hellmann-Hammett award, which recognizes writers for their commitment to free expression and their courage in the face of political persecution. On memorial day of Zahra Kazemi ( the Iranian-Canadian photo journalist murdered in the Islamic Republic prison ), Reporters Without Borders organized a rally in front of Iran Air - Paris, protested against the Islamic Republic ,calling for the release of all imprisoned journalists ! This man says there is NO political prisoner in the Islamic Republic !!!????? UN human rights council should not keep silence on this!!!????? By saying this,he is challenging UN ,UN human rights council and UN reporter on Iran Mr. Ahmed Shaheed. He is Mohammad Javad Larijani . This man isn't member of "Sepah" force or a Basiji Militia , he is the head of human rights headquarter at Judiciary Power of the Islamic Republic.
" political prisoner is a person who have acted politically under the law, but they have throw him into prison unlawfully ,because the rulers and those who run the state didn't like what he was doing.Based on this definition ,there is no political prisoners in the Islamic Republic "
Political prisoner! Where is it? So, this man Mohammad Javad Larijani the head of the Human Rights headquarter in the Islamic Republic conclude that there is NO political prisoners !!!????? This man is the brother of Mohammad Sadegh Larijani the head of judiciary power and the brother of Ali Larijani the head of parliament( Majles Shoraye Islami ). UN and the UN human rights council and the human rights organizations all over the world must not keep silence on this and should protest against him and the Islamic Republic regime in Iran !! If there is no political prisoner in the Islamic Republic,then what are these people doing with prison uniform in your Kangaroo courts???? 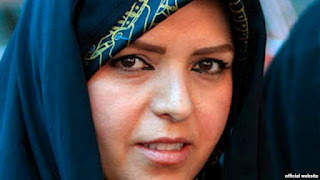 Safieh Ghafouri the innocent Iranian women executed !?? Unfortunately this morning Safieh Ghafouri the innocent Iranian women (according to lawyer Mohammad Mostafaei) is executed in "Adel-abad " prison in the city of Shiraz.Like Delaram Darabi another innocent Iranian women who was also executed ,Safieh's case is more concern because she was assaulted inside the prison by 17 people including prison guards and colonel Soleymani the head of the prison.So, regime has ended the life of another innocent woman with many question unanswered. 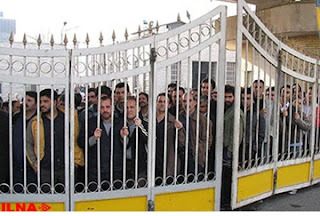 (New York, July 11, 2012) – Iran’s judiciary should immediately quash execution orders against five activists from Iran’s ethnic Arab minority and allow the men’s lawyers and family members to visit them in detention, Human Rights Watch said today. Human Rights Watch expressed grave concern for the safety of these and other Iranian-Arab detainees following reports on June 17, 2012 that authorities had executed four Arab men charged with terrorism-related activities. 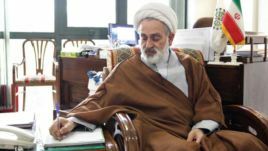 This cleric teacher with his violent Feudalistic behavior wants to control the new generation of Iranian students in a most cleric city of Qom!?? See ,how the students react by laughing at him ,and he throw most of them out of class !!??? Despotism and Execution are inseparable ! Help Stop this execution , She is innocent ! 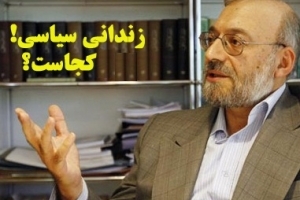 Mohammad Sadegh Larijani the head of the Judiciary is responsible if she was brought to the gallows! News coming from Iran indicate , the Islamic Republic regime is planning to execute another innocent woman ( According to Lawyer Mohammad Mostafaei ).Safieh Ghafouri is the woman who is going to be executed tomorrow Wednesday.Safieh is accused of murder , while Mr. Mostafaei believe that , the Governor of Shiraz ,the Friday prayer Imam, the public prosecutor all united to send this innocent woman to the gallows ,who confessed to the murder under forced confession.The real murderer is the son of the Friday prayer imam of "Bayram " - a village near the city of "Lar " and Aslouieh" .Mr. Mostafaei said ; while her appeal file is open and going on in the superior court for review, the above mentioned parties are expediting of her execution. She is currently in "Adel-abad prison " in the city of Shiraz.Mr. Mostafaei said; Safieh is innocent and the real murderer is the son of Friday prayer Imam of "Bayram" a village near the city of "Lar" and "Aslouieh". While in prison and pregnant she made complaint that 17 people sexually assaulted her ,as a result she had miscarriage. Those assaulted her were the prison guards and colonel Solaymani the head of the "Adel-abad " prison . She is going to be executed tomorrow based on "Ghesas " a sharia law. 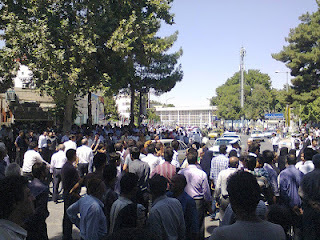 News from Iran indicate about the rise in political-economical crisis in the Islamic Republic. The rise of Foreign and internal political crisis since the presidency of Ahmadinejad seven years ago up to now ,The deepening division among the Islamic Republic officials and Islamic religious personalities (Some of the Ayatollah's like Ayatollah Sane-ei, Dastgheib, Musavi-ardebili,and .... )and young Muslims,even among current officials and their children. Economical crisis ,devaluation of Iranian currency , rise of inflation, rise of basic food and shelter prices , closure of factories /industries ,unemployment , labor unrest ,almost daily workers protest ,arrest and detention of labor leaders. the rise in corruption among officials. the rise in execution ,arrest and detention of political activists,human rights defenders , journalists and writers in the Islamic Republic regime in Iran. In short , Iran is facing bitter events in the future.Not good at all for my people ,Not good at all for my country.! The head of prisons in the Islamic Republic: We do not have political prisoners , the prisoners we have are " security" prisoners!!!???? "We do not have political prisoner in the Islamic Republic , the prisoner we have are "security" prisoners. Since the presidential election coup in June 12,2009 ,thousands of Iranian were arrested in the Islamic Republic by security and intelligence forces and the world saw how the "Basiji" militias and "pasdar" forces beating and arresting or even killing the protesters who were in the streets asking the regime " where is my vote?" Cheap lies are becoming new commodities in the Islamic Republic but no one is buying it ,particularly the Iranians. 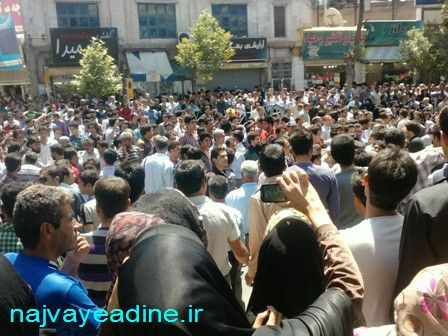 Here are a few pictures showing regime's show trials of hundreds of Iranians arrested and detained after presidential election coup ,just for peaceful protest asking "where is my vote"?. The phenomenon of independent Journalists and bloggers in Iran and the fear of Islamic Republic from them ! There isn't a week,sometime even days goes by without the arrest of a blogger or journalist in Iran ! News indicate that ;the security agents of the regime have arrested Ali Moslehi an Iranian journalist from the city of Kashan.According to the website of "Jaras" ,Mr. Ali Moslehi is a supporter of Green movement. Mr. Moslehi was arrested on Wednesday and there is no news on his situation.According to "Jaras" in recent days several journalists , student activists and political activists have been summoned or arrested by security forces. It seems some of the judges and public prosecutors in Iran are members of "Hefazat Etelaate Sepah " and " Ministry of information" too. Iran Tribunal is a court organized by six international lawyers including Maurice Capithorne( the past UN special reporter to Iran) for five days in London- England with 86 Iranian witnesses. This court is a fact finding about the murdering of Iranian political prisoners in the summer of 1988 when Islamic Republic murdered thousands of political prisoners and buried them secretly. The court will be continued in October . Iran Tribunal( 1) June 18 ,2012 London -England - Is a truth finding court requested by members of the family of those Iranian political prisoners murdered (by the thousands) by Islamic Republic during the summer of 1987-88 . This court was organized by human rights organizations and lawyers! 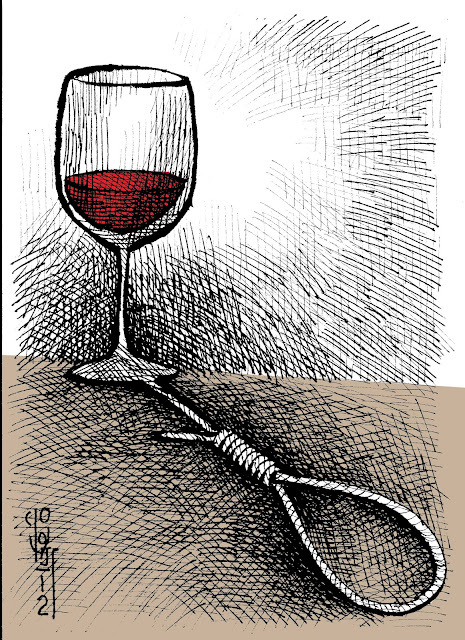 Focus on political prisoners in Iran ! 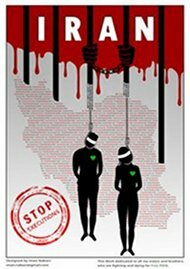 End execution in Iran! End arrest and detention of political dissent ! One of the goal of the revolution in Iran was to close the prison for political dissent ,let alone the execution of political prisoners!